Do you know a teen who's looking for a summer job and loves to perform? 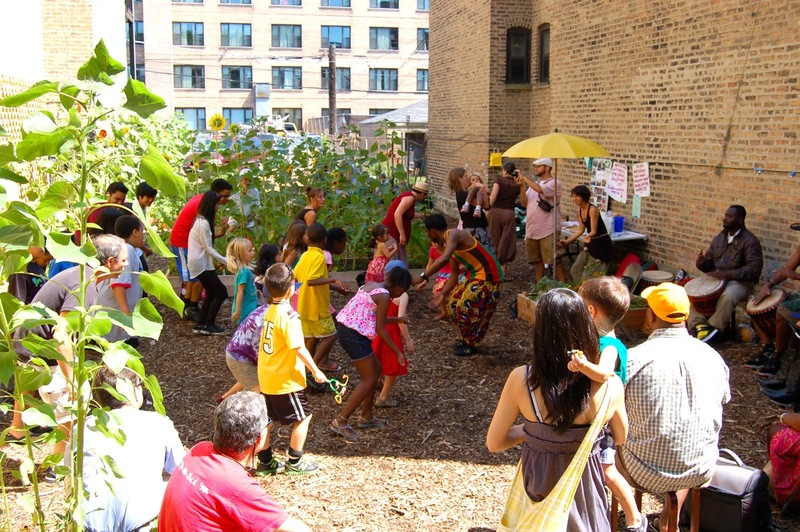 Green Scene Chicago and The Winthrop Harmony Arts Garden (4919 N Winthrop) are looking for six theater ensemble members. Those selected will earn $10/hour for approximately 68 hours of creative employment between May and August. "Hiring 6 teens to be the theater ensemble that creates and performs a children’s play: “The Three Sisters Tale.” (Working Title) This tale is an Iroquois legend that imparts the wisdom of planting corn, beans, and squash (three sisters) together. We will use living plants as the scenery for this show and grow them starting in May at the Winthrop Harmony Arts Garden in Uptown, Chicago. We will create the play through writing and improvisation. The play will have 6 performances in the garden where we plant and tour to two other gardens. It will joyfully teach younger children in the audiences about nutrition. Performances: Aug 10, 11 & 12, 10am-7pm (3 shows/day - exact show times TBA) All hours subject to slight changes. Please visit www.greenscenechicago.org for more info. To contact Martie, email martie@greenscenechicago.org"